In the early 1700s, stockades and whipping posts stood where the Sherman Playhouse stands today. In her book, History of Sherman, Allie Hungerford Giddings writes, "Whipping posts were heavy posts where people who had committed crimes were tied and flogged." Mrs. Giddings tells the story of one Sherman lady who saw a man tied to a post there and whipped for stealing. It was a petty theft, but "Squire Beardsley, the magistrate, punished all thieves vigorously." One hundred years later, this location would serve an entirely different purpose. The little church overlooking the old center of Sherman was built from timbers and lumber from the adjoining forest in 1837. 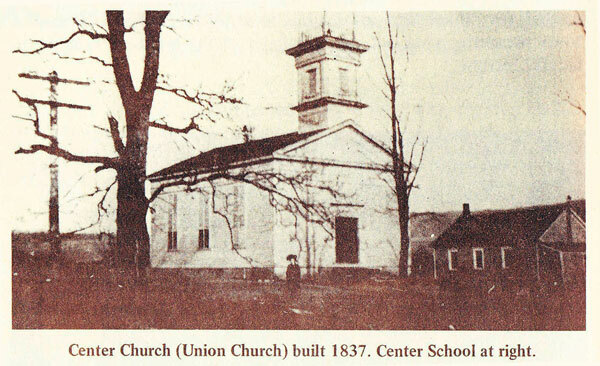 Mrs. Giddings writes, "Over the years, this old building has been used for Union, Methodist, Episcopal and Congregational services." She quotes an unknown worshipper in the early days of the parish, "There is no place on this terrestrial ball so quiet and composing as this beautiful place of worship away from the sharp sounds of the steam whistle, the tinkling cow bell and rumble of the coach wheels." 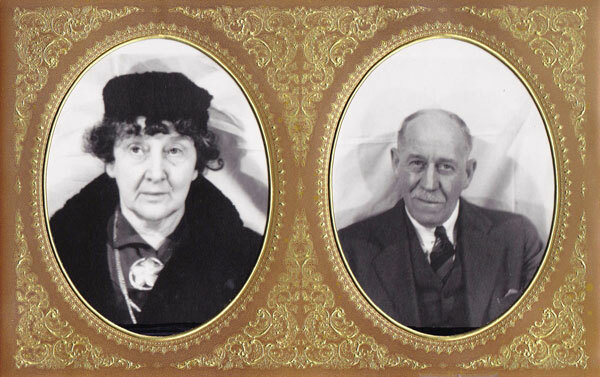 In 1924, Alice and Walter Evans (Grandparents of Betsy Scholze) would come to the rescue. Alice admired the abandoned building on the knoll with its Early American classical lines, and she envisioned the building for an entirely new purpose. The Evans family came to Sherman from Staten Island, New York, spending summers here before making it their permanent home in 1929. Their daughter Marianne Evans was a drama and dance student in New York City. As a city girl, Marianne was not happy about the move to the wilderness of Sherman, CT. She preferred city life and the world of theater. Finding Marianne a place to practice her drama and dance became a high priority for the family. 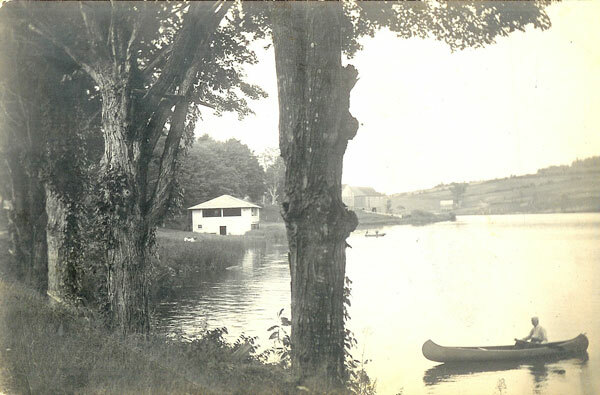 The boathouse on Mauweehoo Lake served as the first makeshift theater where they built a small stage to put on plays, pageants and dance recitals. But soon their focus would return to the center of Sherman. With the town's blessing, Walter Evans would finance the materials and the Evans family along with friends and neighbors would transform the dilapidated building on the knoll into a theater. A stage was built, broken windows repaired, and bats and squirrels sent packing. Following the lead of her daughter, Mrs. Evans presented the first Christmas pageant at the newly finished Playhouse on a cold wintery night. Two wood burning stoves did little to warm the audience who sat in coats and mufflers but to quote Mrs. Evans, "We had a lovely time." "The Sherman Players" was incorporated in the summer of 1949. "With Mrs. Evans as inspiration it has been almost wholly through the efforts of this wonderful group of talented and enthusiastic people that this charming old building still stands high on the knoll overlooking the center of town." (Allie Hungerfold Giddings) Except for a few "dark years" during World War II, the Playhouse has flourished and seen a steady stream of plays, workshops, films, travelogues and concerts, which have entertained the town of Sherman and the community at large. Marianne would eventually move back to the city, but her daughter, Betsy Scholze, would take up the mantle. Betsy has served The Sherman Players in various roles including Board Member for over 50 years, President (3 times), Treasurer (32 years and counting), actress, director, and most passionately as set designer. Betsy has painted over 100 sets. Her daughter, Phoebe, has been creating playbills, season brochures, posters and postcards for over 20 years. The Playhouse has seen many improvements over the years. • In 1960-61, a large addition, designed by Ed Castro, gave the Playhouse a bigger stage, dressing rooms, bathrooms, new pews and a furnace. • In the 1970s, a second addition provided storage space, a costume loft, fire coded exits and a ramp for the disabled. • In the 1980s, the town helped with fire code requirements, sheet-rock, new stairway, emergency doors, restrooms, floor leveling and a new electrical system. • The 1990s brought us up-to-date with central air-conditioning, new interior shutters, new stone steps at the entrance, a new lighting system and an ambitious recreation of the original church steeple. • In 2010, major renovations were made to the green room and dressing rooms. • In 2015, a Steap grant provided the means for a complete renovation of the bathrooms, an additional bathroom for the actors, and the office. Also tiling and carpeting were added throughout the downstairs. Since 1926, the Sherman Playhouse has been a gem inspiring the creative energies of performing artists of all ages. The Sherman Players has given Sherman and the surrounding communities a full range of high quality entertainment. Moving forward, with your participation and support, we aim to continue for years to come. 1 Allie Hungerford Giddings, A History of Sherman, RECORDS AND RECOLLECTIONS (Published by The Sherman Historical Society, Sherman, CT, 1977).